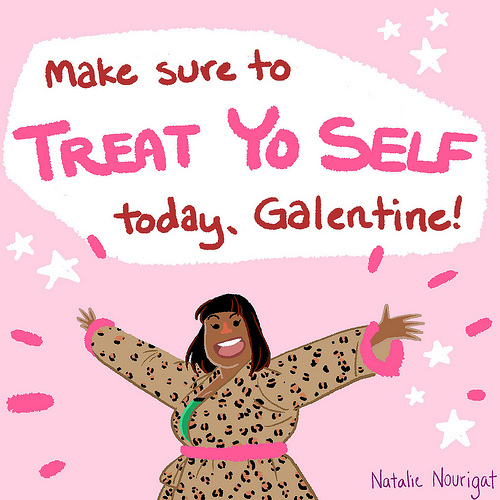 Happy Galentine’s Day! Since you all are my Galentines, I wanted to make you something extra special. You know I love all thinks pink, and cake, right? And you know how we had a pink velvet cake at our wedding reception, right? 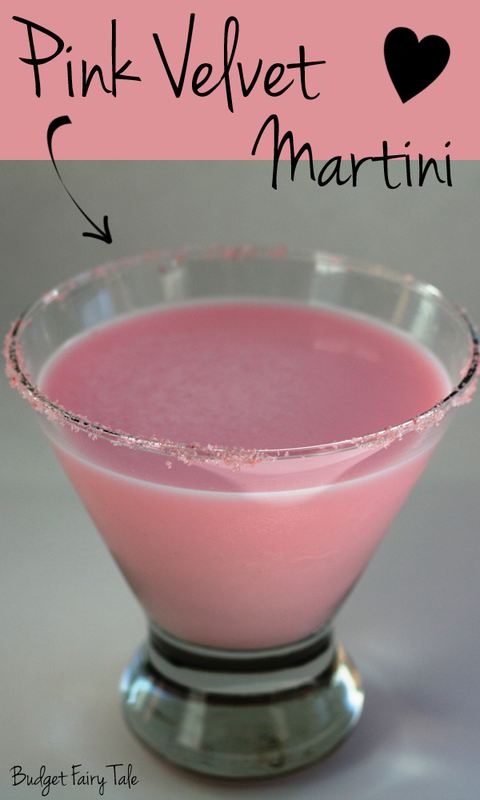 So I created for you (and for me, mostly for me) the Pink Velvet Martini! 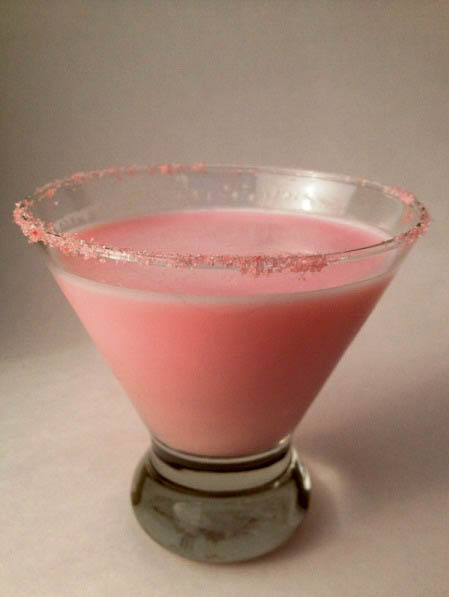 I have always wanted to learn how to make a pink drink, and I thought Valentine’s might be the perfect time for it. This would be delicious to make and share with your significant other, or drink to drown your sorrows if you’re having a rough V Day, or whip up a batch with your Galentines. 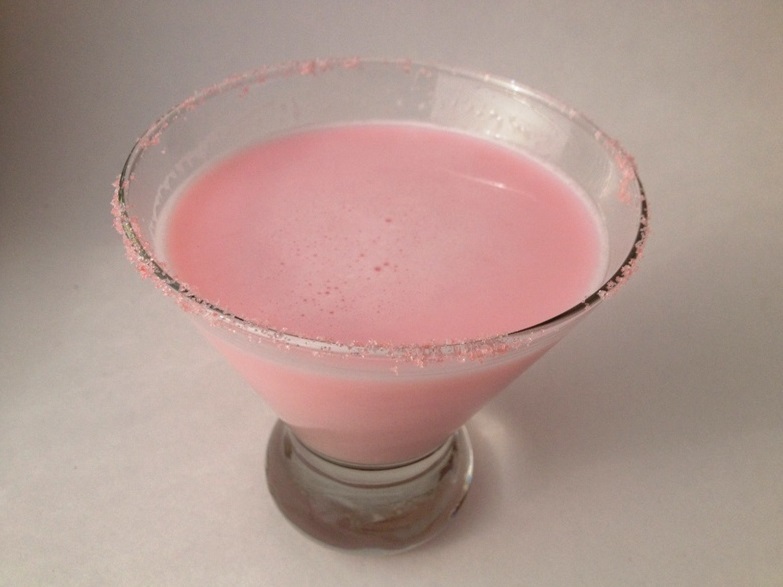 As I stated above, I was inspired to make this drink in part due to our delicious pink velvet wedding cake. Pink/Red Velvet is basically chocolate, but all of the chocolate liquors that I know of are brown in color. Brown velvet just doesn’t have that same ring to it. But then I remembered the Godiva Flight available at the bars in the Disneyland Resort, and how one of them is white chocolate. YES! 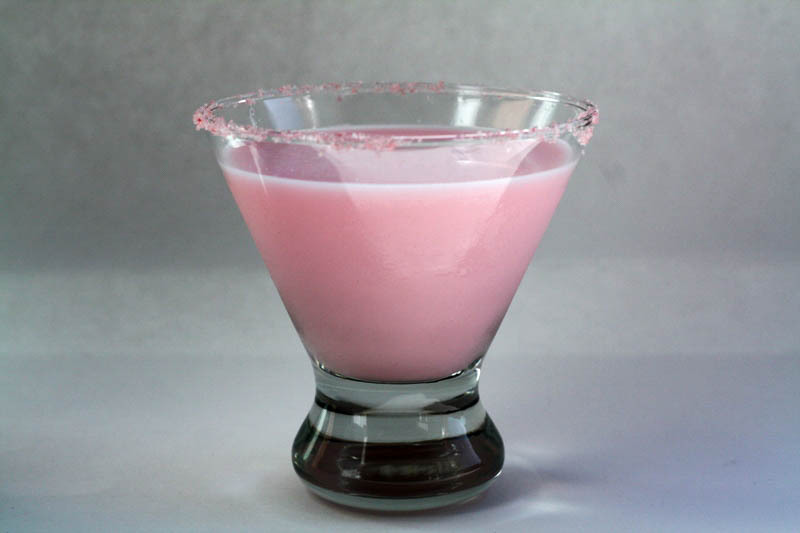 I ran out and bought some Godiva White Chocolate Liquor and made my pink martini by mixing it with a little bit of vanilla vodka and red food coloring. Now, you might be saying to your computer screen, “Mindy. There is a vodka that tastes like cake, why wouldn’t you use that in your martini that is supposed to taste like cake?” GREAT question. 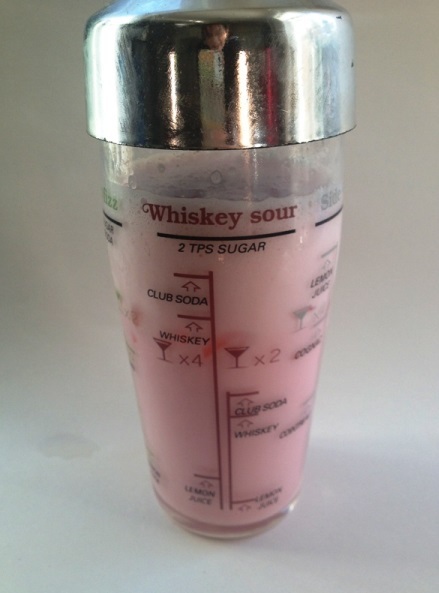 Here’s the thing, I actually tried making this with cake flavored vodka and it did not taste good. Waaay too sweet. Vanilla vodka is sweet too, but the cake one was just too much. The vanilla just added the little bit of extra something-something to make this drink delicioso. Fill shaker with ice. 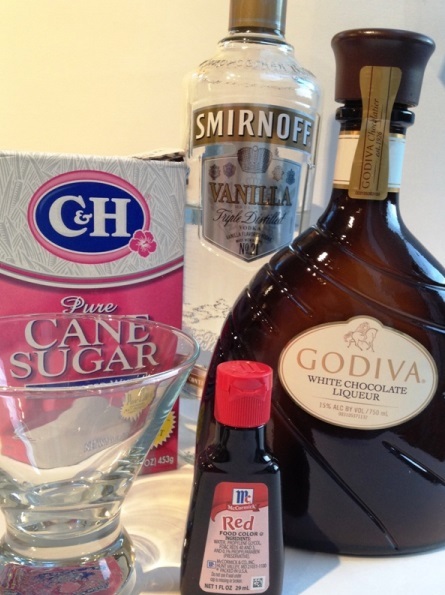 Mix 1 part Vanilla Vodka and 3 parts Godiva White Chocolate liqueur. Add a couple drops of food coloring and shake. Assess coloring and add more food coloring if needed. (I used about 10 drops of food coloring for about two servings.) 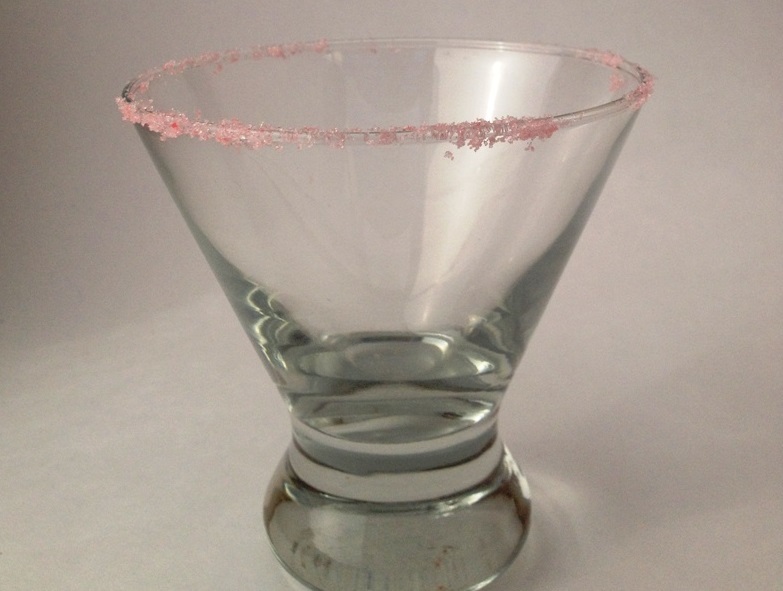 Pour into martini glass decorated with a pink sugar rim. 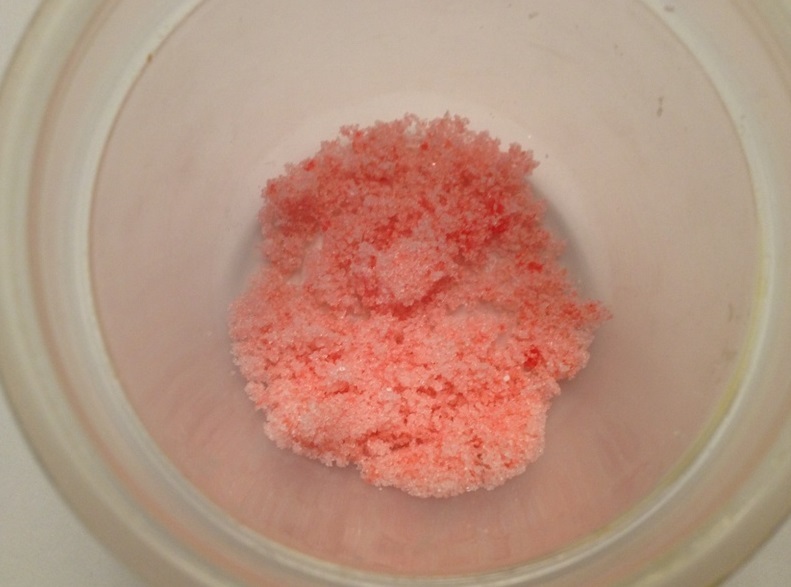 Pink Sugar: Pour about 1/4 sugar into a bowl. 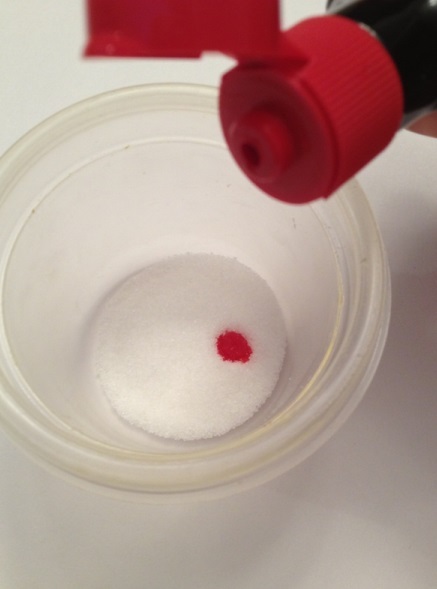 Mix with one drop food coloring. 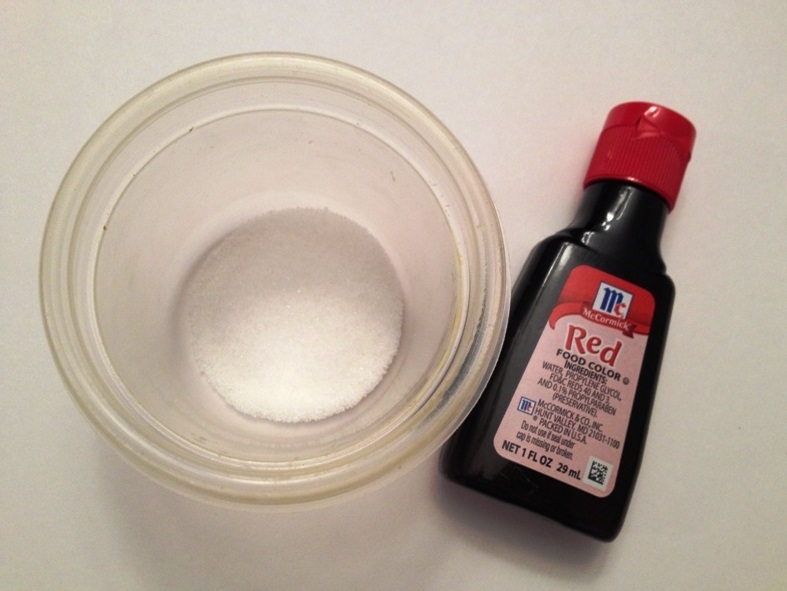 Use a spoon to mix the coloring into the sugar. It will be a little clumpy but the more you mix it, the more it will even out. Transfer the sugar to a plate. Wet the rim of your glass and dip it in the sugar. Warning: This is a strong drink! Like, really strong. It’s meant to be sipped. If it’s way too strong for you, just add a little milk or cream. Godiva liqueur is a little expensive, and this by no means is a low-calorie drink, but Galentine’s day is all about treating yo’ self. So, enjoy! And know that I love and adore you today, tomorrow, and every day after that. Cheers, friends! I agree with you on the red velvet flavored drinks. Way too sweet! That’s saying a LOT coming from me. lol I haven’t tried the Godiva Liqueur yet, but the Vanilla Vodka is good and it all sounds super yummy. I’m going to try this one for sure. Thanks for sharing. Hehe, you are welcome any time! Mmm This looks delicious! I’ve never made my own martini’s before but this looks like fun! I highly recommend making your own martinis! Especially the yummy chocolate kind!